Sarajevo's old bazaar and the historical and cultural center of the city. Baščaršija was built in the 15th century when Isa-Beg Isaković founded the town. The word Baščaršija originates from the Turkish language. The word "baš" in Turkish means "main" and "čaršija" means "bazaar" or "market". Due to the large fire in the 19th century, today Baščaršija is half the size that it once was. Baščaršija is located on the north bank of the river Miljacka, in the municipality of Stari Grad. There are several important historic buildings in Baščaršija, such as the Gazi Husrev-beg’s Mosque and Sahat-kula. Today, Baščaršija is the one of the major tourist attractions of Sarajevo. Spring in the central Bosnia and Herzegovina, the source of the river Bosna, and one of the most popular landmarks of Bosnia and Herzegovina. Vrelo Bosne is located on the outskirts of Sarajevo, next to Ilidza. It is one of the most famous scenes of natural beauty in the region, located in the metro area of Sarajevo. It is a pyramid with a proper geometry and a three well-preserved faces: the northern, eastern and western. The pyramid is covered with concrete blocks and according to the analysis of Institutes for materials in Bosnia (2006, 2007 and 2008) and Italy (2009), the blocks have high compressive strength and low water absorption, making them superior to modern concrete. With the height of 190 meters, is higher than the Cheops pyramid in Egypt (147 meters). It was built using the combination of processed blocks of sand and clay. The quarries of sandstone are located in the vicinity, as well as sources of clay, which was used as a binder, waterproof material and insulation. The pyramid has the terraced design. The Bjelašnica Olympic Mountain Ski Centre and its facilities are all located on the eastern slope of Bjelašnica main summit. There are 6 lifts, with one modern three-seat carrier lift departing from Babin Dol, three anchor lifts and two remaining single saucer lifts. Next to the original 3100 meter Olympic Downhill run and the Giant Slalom run there are four more pistes varying in length between 3200 and 550 meters and covering all difficulty levels between bleu-red-black. A lot of investment has been done to develop the Ski Centre and the Babin Dol area since the era directly following the Dayton Agreement, with another peak during the last couple of years. New hotels, apartment complexes and restaurants have turned this area into a modern ski resort. Igman is nowadays a popular destination for mountain-biking, hiking and skiing. Skiers will find -apart from 2 baby lifts- a single major skilift at Malo Polje that will bring them to 1,490 metres (4,888 feet) with a single descent piste of 1.6 kilometres (1.0 mile) red/bleu with a black split-off of 0.2 kilometres (0.1 miles). Mountain bikers will find a vast network of forest roads on Igman. The steep north-eastern slope of Igman is especially popular with the mountain bikers, who use the former wartime supply road to climb from Hrasnica up to an altitude of 1,250 metres (4,101 feet), and then descend with some bravura via a hiking trail. This hiking trail connects the village with the main mountain hut in the area: Hrasnicki Stan. Another trail leads from Hrasnica to the Memorial for the deceased American diplomats and the memorial plaque for the French military fallen on this road and ends also at Hrasnicki Stan. From there other trails lead to the mountain hut at Malo Polje proceeding further east towards the Javornik mountain hut. Jahorina Olympic Ski Resort is the biggest and most popular ski-resort in Bosnia and Herzegovina and offers a variety of outdoor sports and activities. Primarily it's a destination for alpine skiing, snowboarding, hiking, and sledding, with over 40 km (25 mi) of ski slopes and modern facilities. 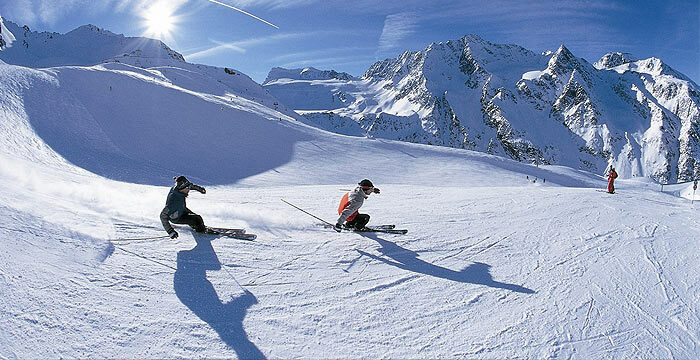 The average snow depth on ski runs during February is 106 cm (42 in) (ten-year average). The Jahorina ski lift system was upgraded in 2012 and 2013 with new Leitner chairlifts. Together with a gondola lift (under construction) Jahorina has one of the most modern lift systems in the region. An 8-passenger gondola will connect town of Pale and the ski resort, and open up 15 km (9 mi) of new ski runs. Trebević has been the main excursion site of Sarajevo citizens due to the favorable geographical position, climate and the beauty of the nature. The biological diversity is among the highest and it is extraordinary to find such a phenomenon near the hearth of the big city. On the 9th of April 2014, Sarajevo Canton Assembly, announced Trebević as a protected area, in order to conserve and improve each element of the geographical and biological diversity. Sacred Heart Cathedral was built in honor of the Sacred Heart of Jesus, an important Catholic concept. The building is in the Neo-Gothic style, with Romanesque Revival elements; architect Josip Vancaš modeled it after the Notre-Dame de Paris. Work began on 25 August 1884, and was completed in August 1889. The Bishop of Dubrovnik was present for the opening. Peace demonstration in front of the cathedral on September 1991 prior to the outbreak of the Bosnian War. The building was damaged during the Siege of Sarajevo, but not completely destroyed, and the damage has since been repaired. The building is often considered as a symbol of the city: The design above the door to the Cathedral is part of the flag and seal of Sarajevo Canton and the Romanesque towers are featured on the flag and coat of arms of Sarajevo. Built in 16th century, it is the largest historical mosque in Bosnia and Herzegovina and one of the most representative Ottoman structures in the Balkans. The Gazi Husrev-beg Mosque was built as the central object of the Beg's endowment, which also included a maktab and a madrasa (Islamic primary and secondary schools), a bezistan (vaulted marketplace), a hammam (public bathplace). The mosque belongs to the type of complex-spaced, multi-domed mosques and it is a represent of the Early Period of Classical Ottoman Architecture (sometimes referred to as Early Istanbul Style). The cathedral is dedicated to the nativity of the Theotokos. It was erected at the request of the Orthodox parish of Sarajevo between 1863 and 1868. The church is constructed as a three-section basilica inscribed in a cross-shaped plan, and has five domes. The domes are built on the beams; the central one is much larger than the other four side domes. The church is arched by round elements. The small gilded baroque-style belfry is built in front of the entrance. The interior walls are decorated by painted ornaments. In the lower zones of the walls the painted ornaments are simulating the marble stone construction look. Arches and vaults are decorated in ornaments only. In 1898, the Orthodox Metropolitan Palace was built near the cathedral. The National and University Library of Bosnia and Herzegovina (NUBBiH) was designed in 1891 by the Czech architect Karel Pařík, but criticisms by the minister, Baron Benjamin Kallay, caused him to stop working on the project. 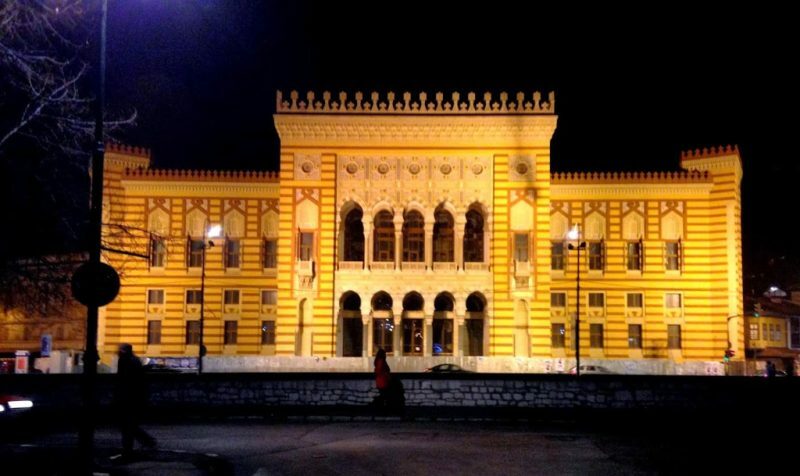 It was initially the largest and most representative building of the Austro-Hungarian period in Sarajevo and served as the city hall. The library was reopened on the May 9, 2014. The edifice was built in a stylistic blend of historical eclecticism, predominantly in the pseudo-Moorish expression, for which the stylistic sources were found in the Islamic art of Spain and North Africa. A protected landscape area. It is located to the right of the main road Sarajevo - Tuzla on the edge of the plateau between the villages Nišići and Krivajevici. It spreads over 370 acres and includes a dense coniferous forests, pastures, numerous karst phenomena such as sinkholes and abysses of two streams, and six caves. The largest cave is called the Main Bijambare cave, Central Bijambare cave, or simply Bijambare. This cave is 420 meters long and consists of four corridors with the largest called the "concert hall". In the Upper Bijambare cave were found remains of cave men, tools for stoneworking, and the remains of some animals. These caves are special geological reserve, while the Upper Bijambare cave is paleontological natural monument. The international art festival held in Sarajevo. For 30 years of existence, the Festival has become an inseparable part of life in the city. During the 1110 days of "Sarajevo Winter" there were 3,028 performances and exhibitions, with more than 3,145,000 visitors and 33,830 participants from 43 countries. Festival "Sarajevo Winter" is continuously held during the past years and has become a symbol of freedom of creativity and learning about different cultures and civilizations. Made during the siege of Sarajevo in 1993. The tunnel was built under the airport runway and connected the two territories (Dobrinja and Butmir), held by the Army of Bosnia and Herzegovina, and hence the name "Tunnel D-B". The tunnel is about 720 meters long and 1.5 meters high, while in some parts up to 1.8 m high. In the official correspondence of Army of Bosnia and Herzegovina and United Nations, the tunnel was entitled "Nonexistent tunnel". It was the top secret during the siege of Sarajevo, because it was used for supplying the food, weapons and so on to the city. The Skakavac waterfall near Sarajevo is one of the greatest and most attractive waterfalls in BiH and it stands for a real tourist attraction. The waterfall is 98 metres high and placed in the landscape of exceptional beauty. The surroundings are one of the most heterogenic areas in that region dominated by spruce and fir and beech and fir forests with spruce on more pronounced slopes. On shallow carbon grounds in the vicinity of the waterfall, there are termofil forests and underbrushes of eastern hornbeam and autumn locust as well as eastern hornbeam and manna ash. The rocks surrounding the waterfall have a very interesting vegetation dominated by endemic and relic types. The waterfall at Skakavac is for more than one reason, one of the most attractive tourist sites in the vicinity of Sarajevo. The name Skakavac means grasshopper in Bosnian. Kravice is a waterfall on the Trebižat River in Bosnia and Herzegovina. It is ten km south of Ljubuški and forty kilometers south of Mostar. Its height is between 25 metres and the radius of the lake in the base of the waterfall is 120 metres. Kravice is a popular swimming and picnic area and, during the summer, it is frequently visited by tourists from Mostar, Medjugorje and Dubrovnik. The Kravice Falls area also has a little cafe, a rope swing, a picnic area, and a place to camp. The best time of year for visiting is during the springtime when the fall is at its fullest and the arid landscape turns a bright green. During the high season, various restaurants in the vicinity of the waterfalls mostly offer grilled dishes and fish specialties. Near the Kravice Falls is also a small grotto with stalactites made of calcium carbonate, an old mill and a sailing ship. The Pliva River Region is located in the north-central part of the Bosnia region of Bosnia and Herzegovina. The region is dominated by major rivers such as the Pliva, Vrbas, and Janje. For many hundreds of years this region was the ultimate stronghold of the Bosnian Kingdom. The castle in Jajce was the fortress of the last Bosnian King. 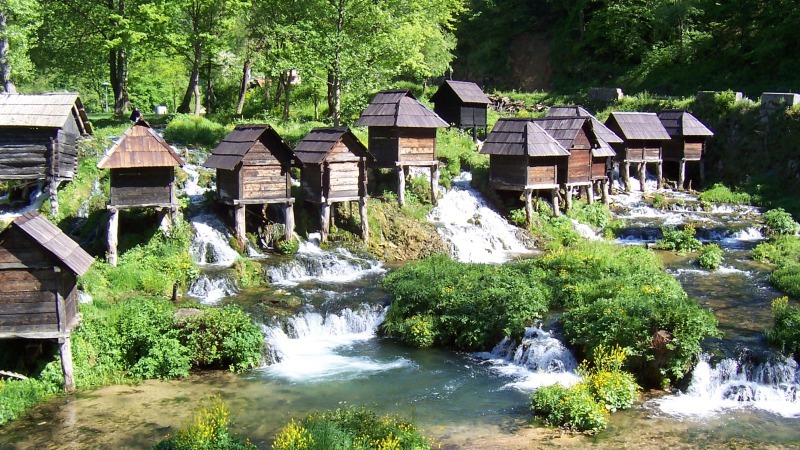 The three largest communities in the Pliva River Region are Sipovo, Jezero, and Jajce. Sipovo is located near the source of the Pliva River, Jezero is located near the Pliva Lakes, and Jajce is located where the Pliva River flows into the Vrbas River. This intersection is the site of a spectacular waterfall that is 28 meters in height. The Pliva River plays vital environmental and economic development roles in this region of Bosnia. It is the single most important environmental feature of this region because it provides water to sustain human and wildlife populations; it forms a natural transport corridor through the mountains; it offers the best available sites for human settlement; it supports agricultural production; it has hydro-energy resources; and it offers a range of outdoor recreation resources. The Pliva River provides the natural connection between the three towns of Jajce, Jezero, and Sipovo. The river Buna is the finest example of an underground karst river. It flows out of a 200m cliff wall and single-handedly creates the Buna River. Unsurprisingly, the Ottoman sultan was impressed, and ordered a tekija to be built right next to it. This 16th century house/monastery was built for the Dervish cults and is still one of the most mystical places in all of Bosnia and Herzegovina. It is open to visitors all year round and serves cold drinks, tea and Turkish coffee in a beautiful garden overlooking the source of the River. The region is also known for the diversity of its flora and a number of endemic species. At lower altitudes there are many evergreen plant and deciduous thicket species, while at higher altitudes in the hills there is sparse forest. Fertile cultivable land is suitable for the agriculture typical of the Mediterranean climate. 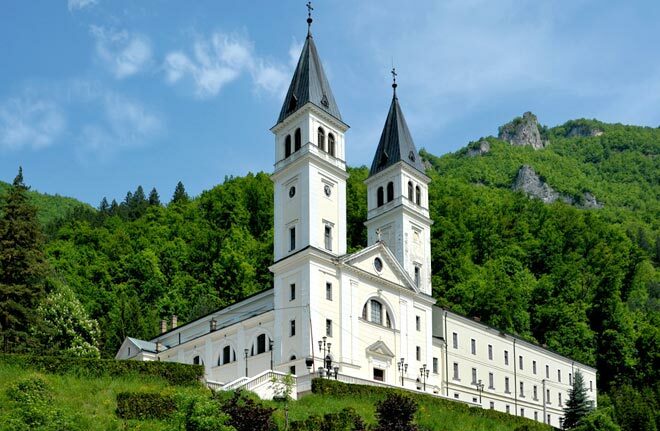 The story of Medugorje is well known to most Catholics. In 1981 six teenagers were playing together in the hills between the villages of Medugorje and Bijakovici. It was on this barren hillside that Mother Mary appeared and spoke to them. When the children told their parents the first reaction was scepticism. The apparitions, however, did not cease. She appeared again and again and soon made believers out of even the most vocal of critics. Since then it is estimated that over 15 million people have visited this tiny place. Medjugorje has become the one of the largest Catholic pilgrimage sites in the world. There has been much controversy over the legitimacy of the visions, so much so that the Pope has not recognized it as an official pilgrimage site. Nonetheless, millions of faithful Catholics from all over the world visit this sacred spot, and the many amazing accounts suggest that miracles are a regular occurrence here - the Virgin Mary is said to still appear every day to three of the teenagers and once a year to the other three. The original bridge was commissioned by Suleiman the Magnificent in 1557 to replace an older wooden suspension bridge of dubious stability. Construction began in 1557 and took nine years: according to the inscription the bridge was completed in 974 AH, corresponding to the period between July 1566 and July 1567. The Old Bridge stood for 427 years, until it was destroyed on 9 November 1993 during the War in Bosnia and Herzegovina. After its destruction a temporary cable bridge was erected in its place. Stari Most diving is a traditional annual competition in diving organized every year in mid summer (end of July). It has been done 477 times as of 2013. It is traditional for the young men of the town to leap from the bridge into the Neretva. As the Neretva is very cold, this is a very risky feat and only the most skilled and best trained divers will attempt it. The practice dates back to the time the bridge was built, but the first recorded instance of someone diving off the bridge is from 1664.